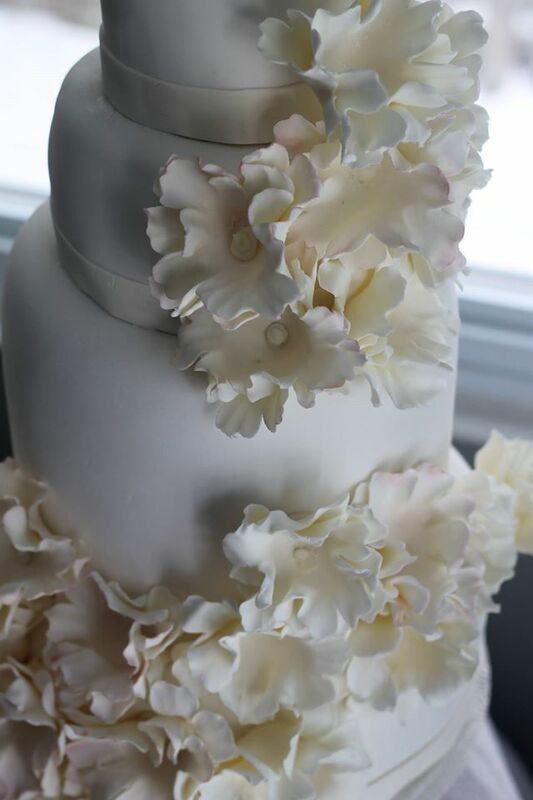 Fondant Flowers will make any cake AMAZING! Everything can be found at your local craft store. 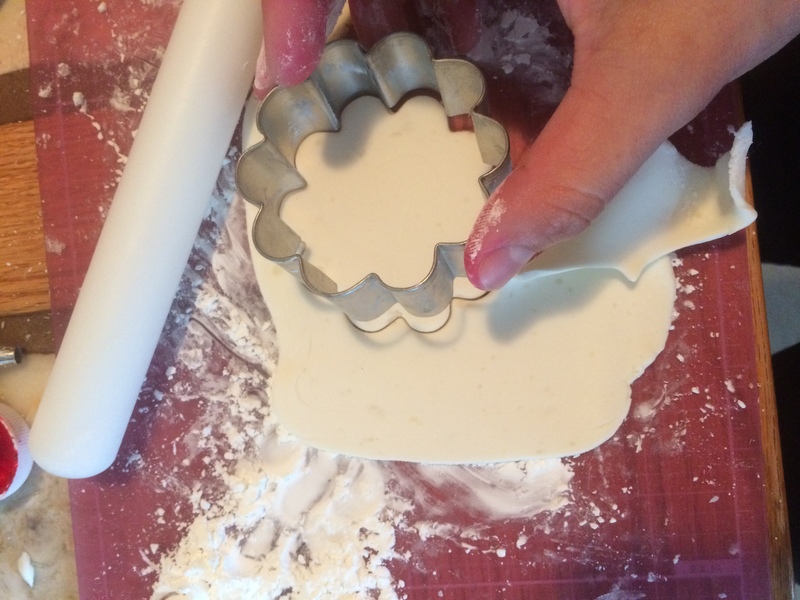 Mix equal parts fondant and modeling chocolate and knead until smooth. 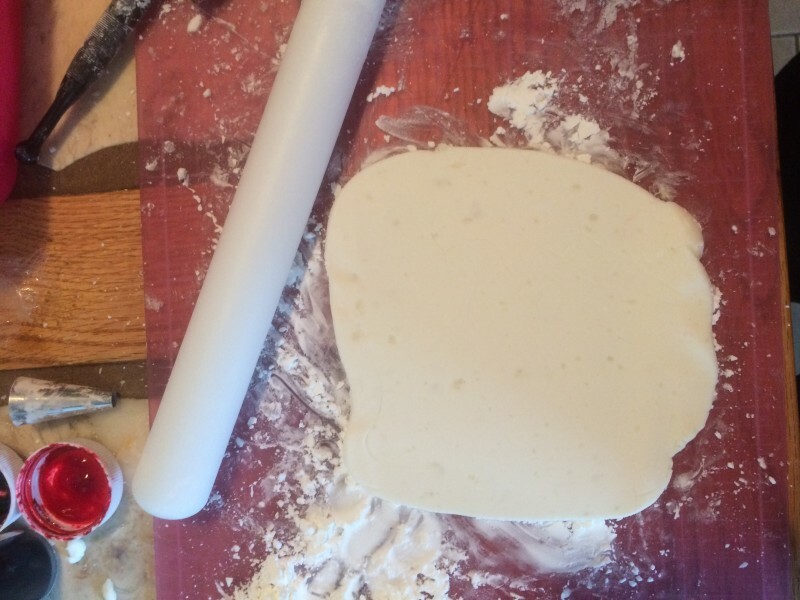 Using cornstarch to prevent sticking roll out a small portion about 1/4″ inch thick. 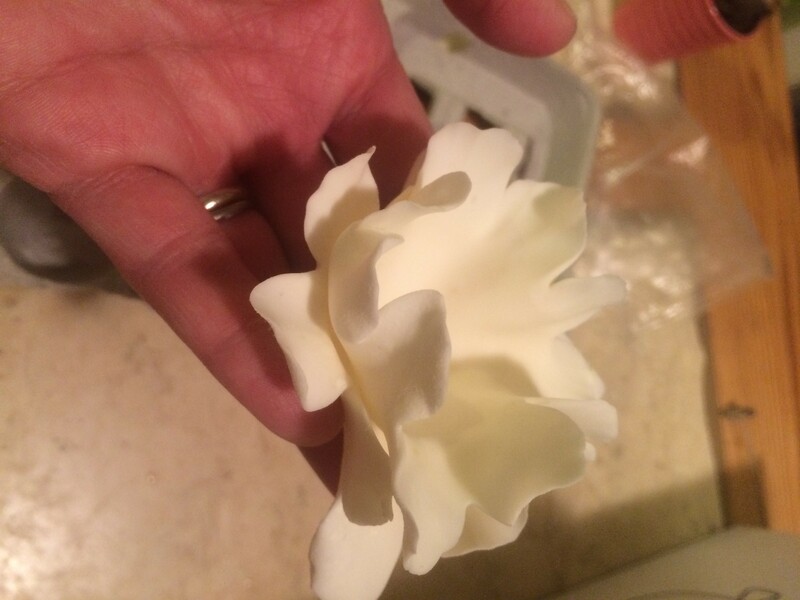 Using a flower shaped cutter cut out two flower shapes. Fondant will start to dry out after a few minutes when exposed to air. 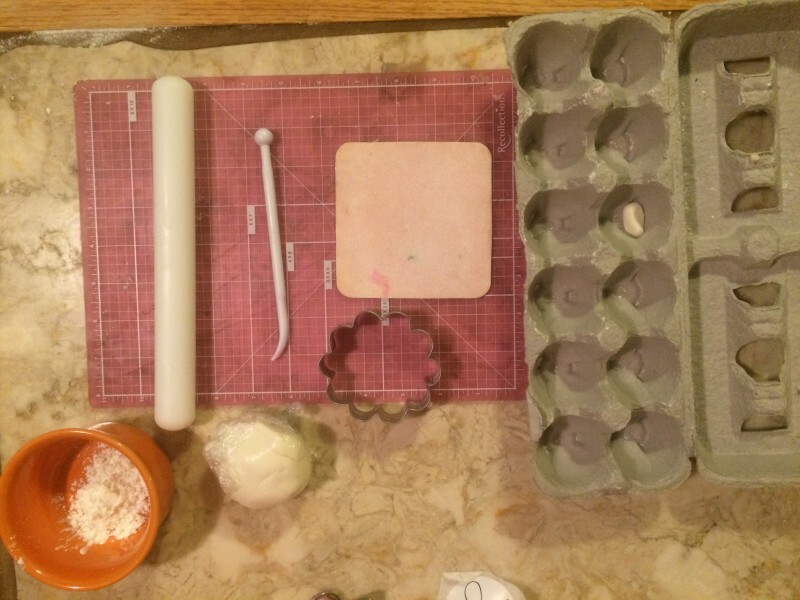 Cover any leftover fondant with plastic wrap until you are ready to use again. 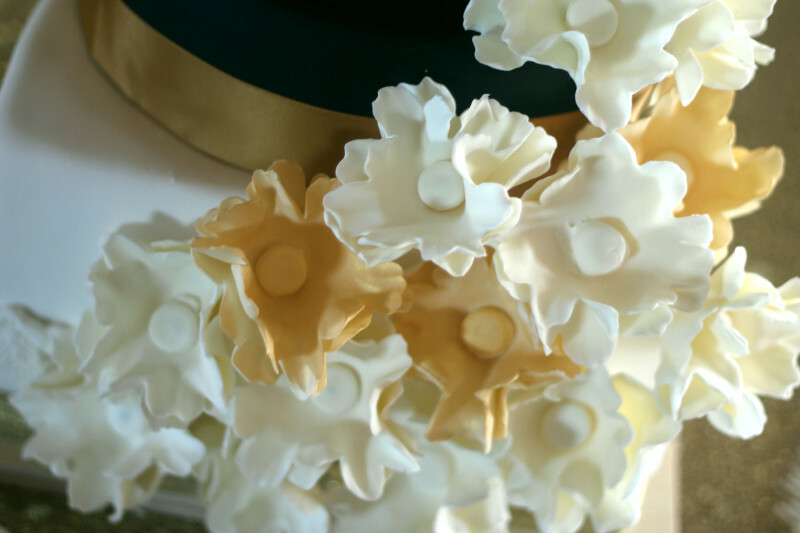 Using the Ball tool gently smooth and ruffle the edges to thin out the fondant and give a more realistic flower look. Dip the ball tool in cornstarch to prevent any sticking. The thinning mat can be placed under the flower to achieve a thin and ruffled edge. 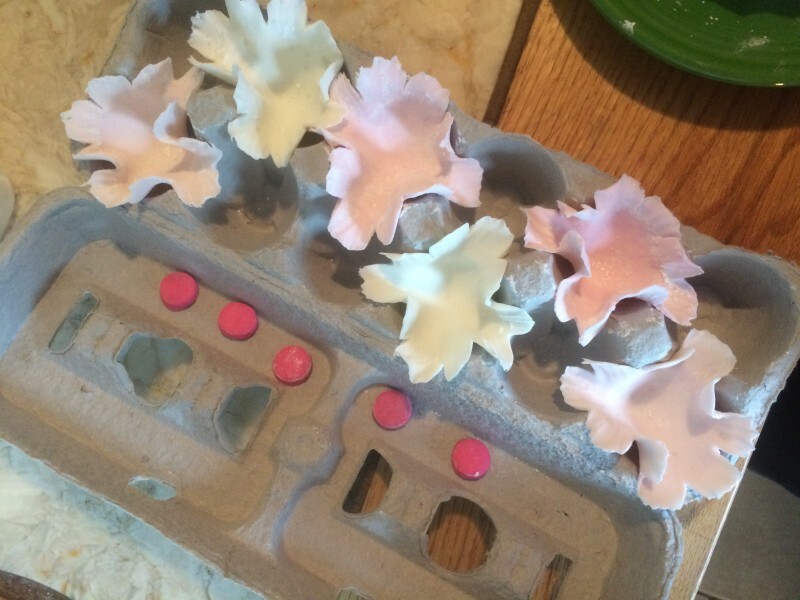 Gently lay the flowers into the empty egg carton, pushing down slightly to shape the flowers. 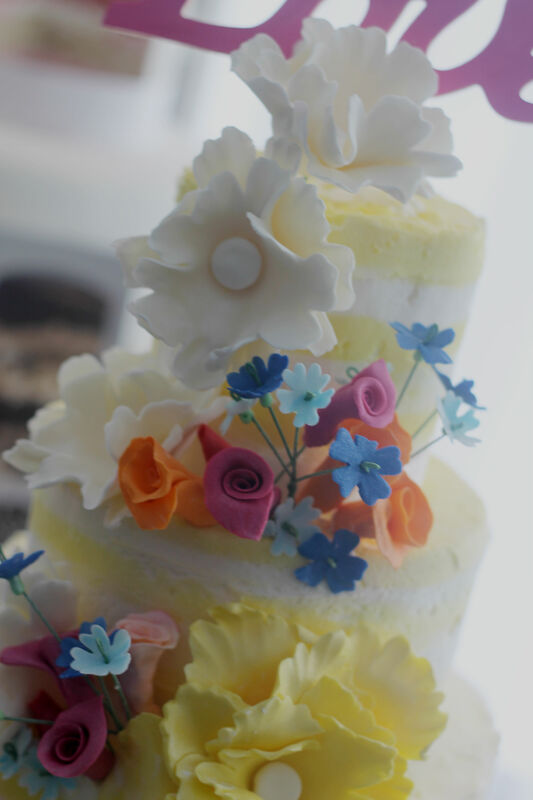 Using the extra fondant and any small round cutter cut out a few center circles for your finished flowers. For the small centers I use the large opening on any decorating pastry bag tip. Chill in the refrigerator for 5-10 minutes. 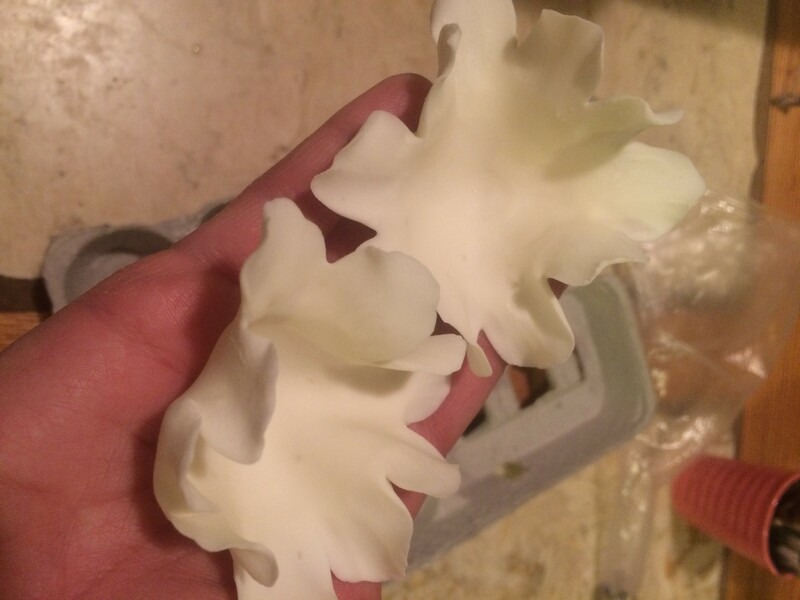 Once chilled the flowers will hold their shape. Place a small amount of frosting between the two layers and gently press together forming the flower. 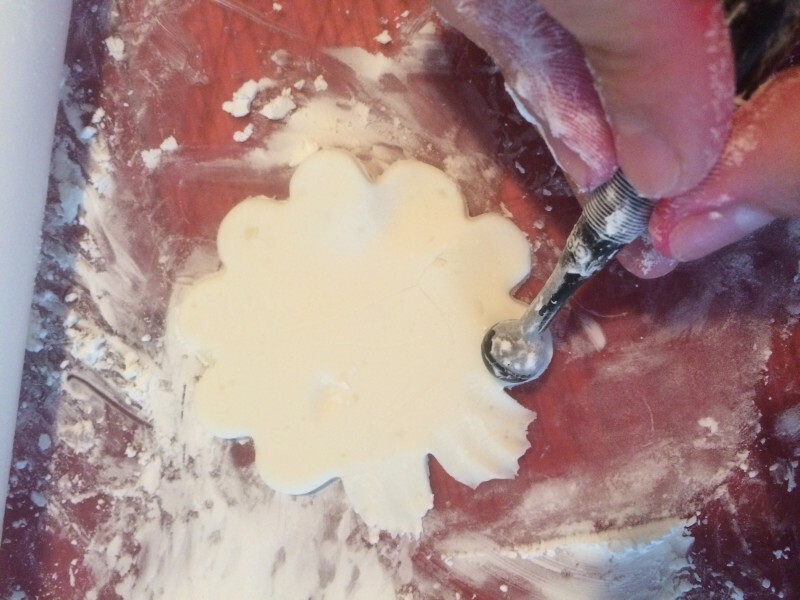 Add another dot of frosting into the center and attach the small center cutout to finish your flower. Chill again for 30 minutes before placing on your finished cake! For more decorating tips go to the LaLa Custom Cake Blog Here! !